Khadija Ismayilova’s seven-and-a-half year sentence for corruption prompted international outrage and her cause was taken up by rights lawyer Amal Clooney with Nani Jansen. Ismayilova later told the BBC she would fight on to clear her name: “They dropped two charges and two charges are still remaining. I’m still convicted on illegal entrepreneurship and tax evasion and I haven’t been doing any entrepreneurship. “There is a revolving door of the prison. They release two, they arrest three. So more people are getting arrested. Outside court Ms Ismayilova told reporters that her arrest had been solely for political reasons. 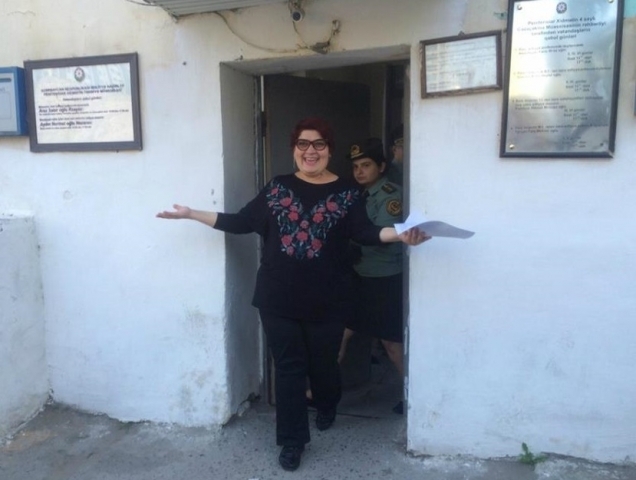 “I will of course go further to the European Court (of Human Rights) and I will hold the Azerbaijani government responsible for keeping me in prison for a year-and-a-half, keeping me out of my job and (away from) my family”. She became well known in Azerbaijan for a daily talk show on the Azeri service of Radio Free Europe/Radio Liberty (RFE/RL), but her outspoken tone led to personal attacks and accusations of being “pro-Armenian” or an “international agent”. 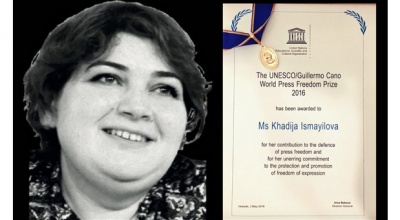 “Khadija is a talented journalist who was instrumental in exposing corruption in her country,” she said. “Khadija deserves full acknowledgment of her innocence and should be allowed to resume her work as a journalist without further harassment by the government,” Amal Clooney said. Ismayilova, 39, has been hailed for her investigative work, and received wide accolades including the UNESCO/Guillermo Cano World Press Freedom Prize. Her mother, Elmira, accepted the prize on Ismayilova’s behalf earlier this month and read an acceptance speech penned by her daughter. Thanks to Amal Clooney for working to free Khadijah Ismayilova. Freedom of the press should never be compromised. … and good for journalist Khadija Ismayilova. Great team effort, beginning with her local lawyers, all the journalists that advocated and fought on her behalf for her release, to Samantha Power at the UN and Amnesty International… Ismayilova is one incredible, intelligent and brave woman. Wonderful Woman, wonderful dress and i love the earings. She wore them at least thrree times. This is again another piece of excellent news. Huge credit must go to Khadija’s Ismayilova’s local lawyers and a special mention to Nani Jansen who has been on this case from the absolute start and did all of the leg work on filing the ECHR application. 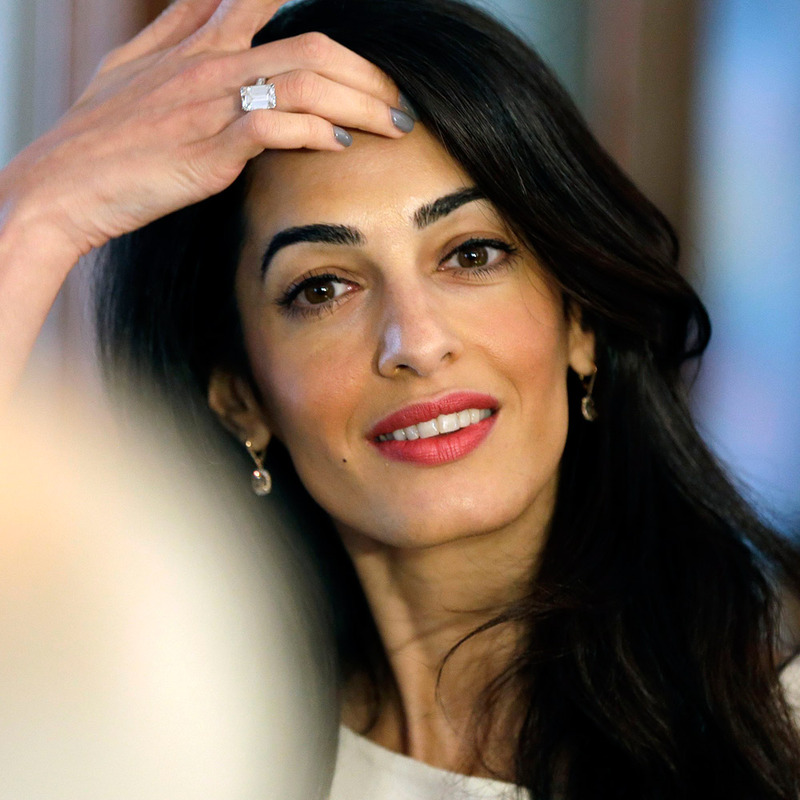 Amal’s largely non-legal public advocacy work has also reaped huge rewards. Interesting to see!